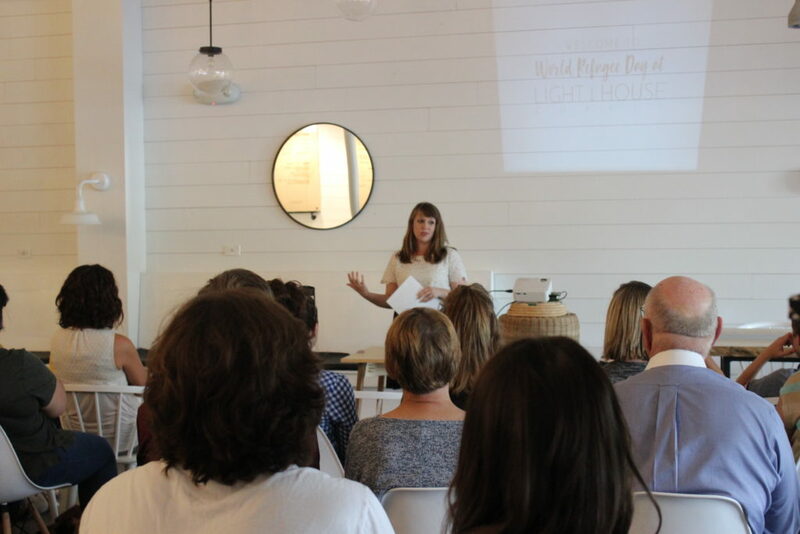 On Wednesday, June 20th, Lighthouse coffee hosted an event for world refuge day. I used to hide my confusion and frustration when others would share that God’s voice was calling to them—what on earth did they mean and how can they hear it? Some of the greatest theologians and philosophers of our time have argued that in each of our hearts lies a calling—a passion, waiting for us to live out. Frederick Buechner defined a calling as the place where the world’s greatest need and our greatest joy intercept. The word vocation, defined as the work one is called to by God, is biblical with origins in Christianity, and comes from the Latin word vocare, which means “to call”. 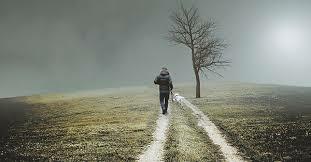 While I certainly have had my own humbling faith journey in getting to a place of complete trust in God, and while I too wrestle with the typical human emotions such as fear and apprehension, God’s calling and voice now overpowers them all. I believe God places a calling in each of our hearts that may sometimes feel like small stirrings or like gravity pulls as strong as lightening. We’ve all felt pulls—either to be a parent, perhaps to work in media, to build houses, or maybe to paint or write music. These pulls can paralyze us with fear or drive us with determination. For me that calling is to help people through counseling and teaching. A calling that has led me to multiple trips to Malta. My journey to Malta started four years ago when two highly regarded and beloved professors of mine extended the invitation to co-teach alongside them at the University of Malta. We were to be teaching Malta’s transcultural counseling students in preparation for them to begin their internships at refugee camps. I was instantly triggered to research and learn everything I could possible about Malta, refugees, and migrant populations. What is a refugee? Why exactly are people fleeing Africa to go to Malta or other neighboring places? What will some of our students be doing at the camps? The more I learned the deeper my compassion grew. But as I reflect on lessons learned from my three trips to Malta, the one that carries the most significance is the importance of grounding our understanding and perceptions in Truth, as opposed to fear, knee-jerk judgment, or cynicism. One of the most common misperceptions about refugees is that they are to be feared. Quite the contrary, a refugee is a person who leaves their country of origin because of feared persecution, violence, conflict, or other circumstances that have seriously disturbed public order, and who, as a result, require international protection (United Nations High Commissioner for Refugees [UNHCR], 2016). 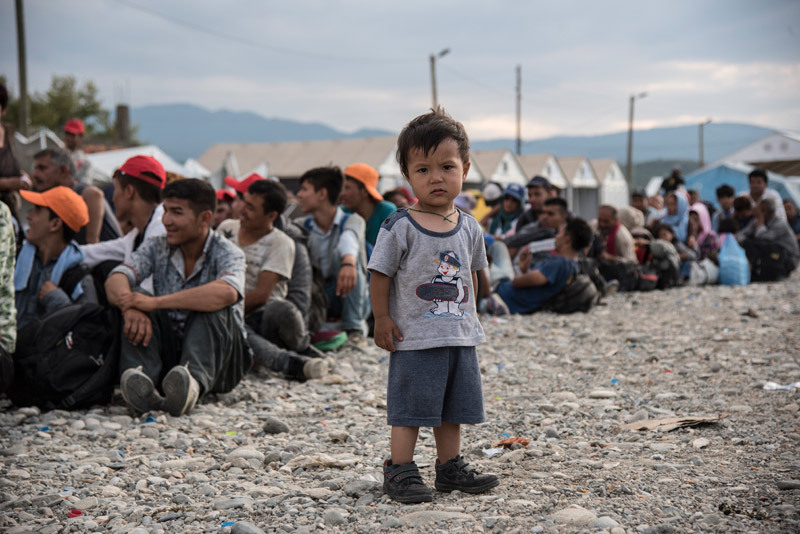 Refugees are recognized and protected by international law with access to assistance from states, UNHCR, and relevant organizations (Misfud, 2016). These are people for whom denial of asylum has potentially deadly consequences (UNHCR, 2016). A migrant, on the other hand, is someone who chooses to move, usually across an international border (UNHCR, 2016). The term forced migration has been used by social scientists to refer to people who have been displaced by environmental disasters, conflict, famine, or large-scale development projects (Misfud, 2016). The factors leading people to move can be complex and the causes are often multi-faceted (Misfud, 2016). Migrants may leave their country to improve their lives by finding work, for education, family reunion, or to alleviate significant hardships that arise from natural disasters, famine, or extreme poverty (UNHCR, 2016). 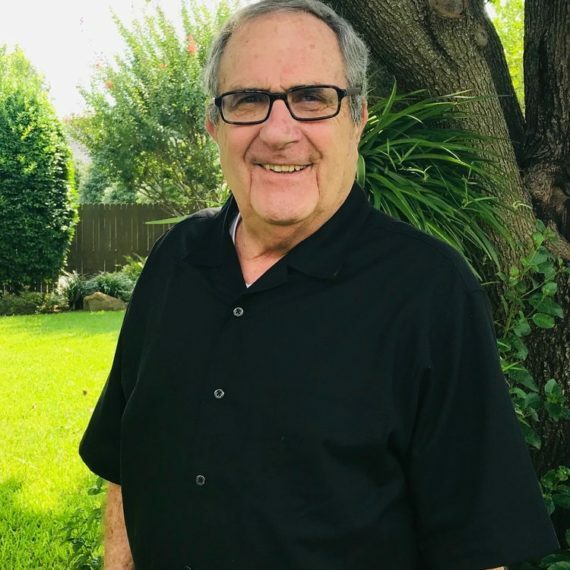 Having worked 10 years as a mental health clinician in both hospital and outpatient settings, I have heard and been witness to unimaginable tragedies and sorrow. I have also worked with dangerous individuals. I have an informed and educated perspective on human behavior and suffering. Part of the human complex is that our perceptions are shaped insidiously over time by how our brains process our reality and life events. This makes it all too easy for misinformation about people and about situations to subconsciously permeate our understanding of how we see the world and how we see others. Do we look through a lens of fear? Of mistrust because of bad experiences in childhood? Do we look at refugees through a lens of threat because of what we are used to seeing on the news and because of the social settings we are used to? What I’ve learned is anyone can be dangerous; from a grocery store clerk to a family member. When I think of a refugee, I choose to look through a lens of compassion and see a courageous and vulnerable human being, who is often looking for safety and sanctuary—a home. Try looking through a nonpolitical, compassionate lens. Life is more beautiful when you look through a lens of compassion grounded in Truth, instead of a lens of fear grounded in faulty perception. While I too struggle with misperceptions from time to time, many have asked how my own perceptions stay grounded in truth—I seek refuge in my faith of an all-knowing, loving God and I cling tightly to those who have discipled me to him. Each of us are uniquely, fearfully and wonderfully made, with uniquely different life experiences. Yet too often the challenges of life, the loudness of unsolicited advice, and bombardment from noise in the media can drown out our heart’s callings. Overtime as we grow, age, and experience challenges, if we’re not careful our calling might drown away. Did God plant a dream in your heart? Is there a time in your life that you can recall thinking or dreaming of how you might live your life? Go back to that dream. Listen for God’s whispers. You might like what he has to say. Katie Fetzer is a Licensed Professional Counselor and Doctoral Candidate in mental health counseling. 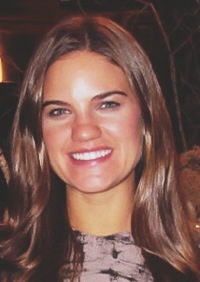 Katie earned both her undergraduate and graduate degrees from Louisiana State University in psychology and mental health counseling, respectively. Katie currently works at her private practice, The Wellness Studio, LLC, and Our Lady of the Lake Hospital adolescent psychiatric unit where she provides mental health counseling and crisis stabilization services to adolescent patients suffering with acute mental health and/or substance abuse issues. 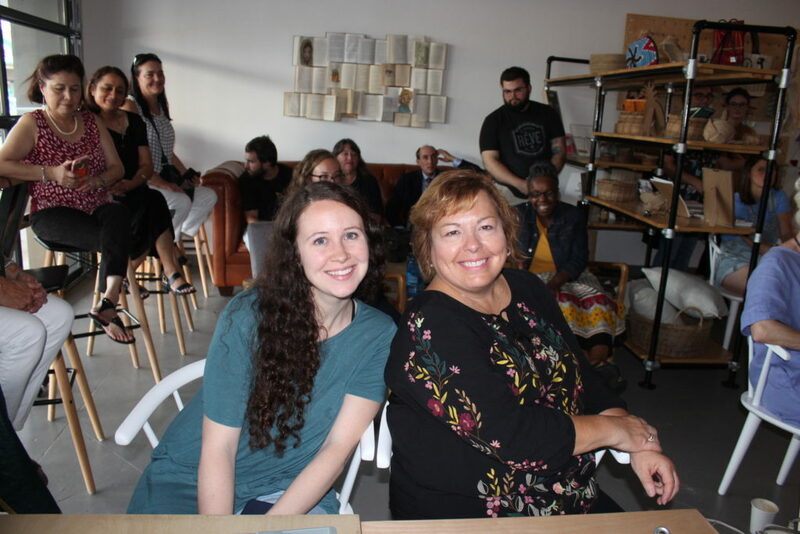 In June, Amber Elworth, owner of Light House Coffee, hosted a special event for the community. World Refugee Day was designed to answer important questions about refugees, including how they arrived in the U.S. and what they have experienced. We employ refugees because we saw a need to not just provide employment, but to be a mentor and coach to help them better understand American culture, job norms, and expectations in the U.S. workplace. We want to push our employees to make enough money to provide for themselves, which might mean learning new skills so that they can get better jobs outside of Light House. I love people. Most of us do. I have a hard time believing that if someone had a friend who came to our country as a refugee, they heard their story, and that they had no other option but to flee, that they would reject them. I think education is so powerful and can cause love and compassion. Not just factual knowledge, but knowledge through personal relationships. That’s another huge reason we’re looking forward to creating volunteer opportunities in the near future to provide connection points.